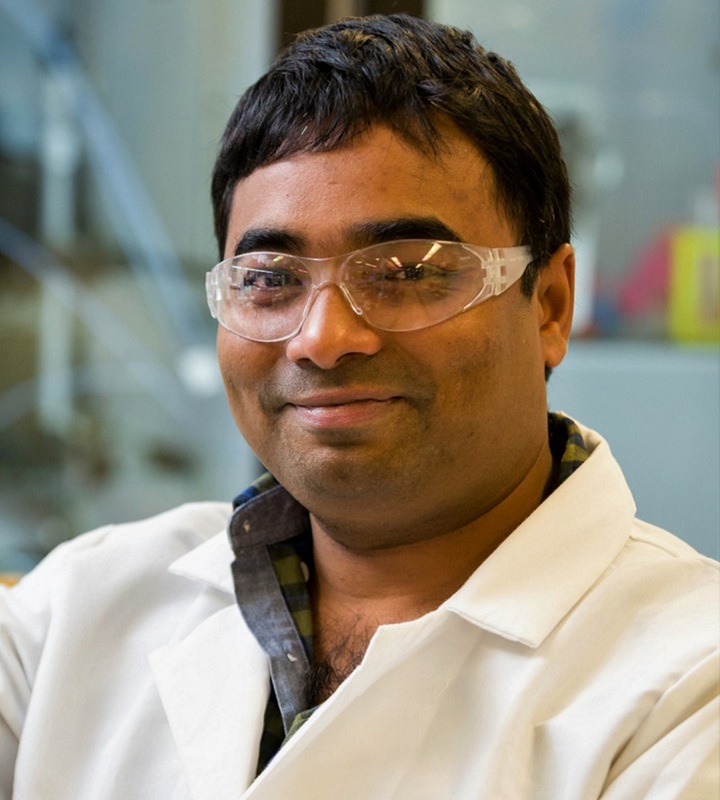 Mahesh Aitha is a research scientist in the Division of Pre-Clinical Innovation at NCATS. In this capacity, he supports the protein biochemistry and enzymology efforts — including protein expression, purification and the analytical and biophysical characterization of target proteins — of the Assay Development and Screening Technology laboratory. Before joining NCATS in May 2018, Aitha was a postdoctoral fellow in the chemistry laboratory of Professor Stephen J. Benkovic at Penn State University, conducting research on understanding DNA replication and DNA damage repair pathways. Aitha probed the orientation between the holoenzymes of the T4 replisome using biophysical techniques. He also investigated the dynamic role of replication protein A (RPA) in monoubiquitination of proliferating cell nuclear antigen by Rad6/Rad18. Aitha received his doctoral degree in chemistry and biochemistry under the supervision of Professor Michael W. Crowder at Miami University in Oxford, Ohio. His research focus was to develop the mechanism- and structure-based inhibitors for the metallo-β-lactamases through understanding their catalytic mechanism, using various biochemical and biophysical methods. He received his master’s degree in chemistry from Tennessee State University and his bachelor’s degree in pharmacy from Kakatiya University in Warangal, India. Aitha’s research focuses on pre-clinical drug development for rare genetic and infectious diseases. His primary goals include developing expression, purification and bioconjugation strategies for molecular targets of interest to NCATS translational research. In addition, he is involved in the design of methodology and protocols to characterize the interactions of novel lead molecular modalities with target systems, using biophysical techniques such as isothermal calorimetry, surface plasmon resonance, electrochemiluminescence and crystallography. His current project focuses on the production of phosphoglycerate mutases from various pathogenic organisms to aid in the mechanistic characterization of ipglycermide analogs being developed as potential treatments for tropical diseases, including lymphatic filariasis and onchocerciasis. A general reaction mechanism for carbapenem hydrolysis by mononuclear and binuclear metallo-β-lactamases. Monitoring the Retention of Human Proliferating Cell Nuclear Antigen at Primer/Template Junctions by Proteins That Bind Single-Stranded DNA. Investigating the position of the hairpin loop in New Delhi metallo-β-lactamase, NDM-1, during catalysis and inhibitor binding. Biochemical, mechanistic, and spectroscopic characterization of metallo-β-lactamase VIM-2. Spectroscopic and mechanistic studies of heterodimetallic forms of metallo-β-lactamase NDM-1.